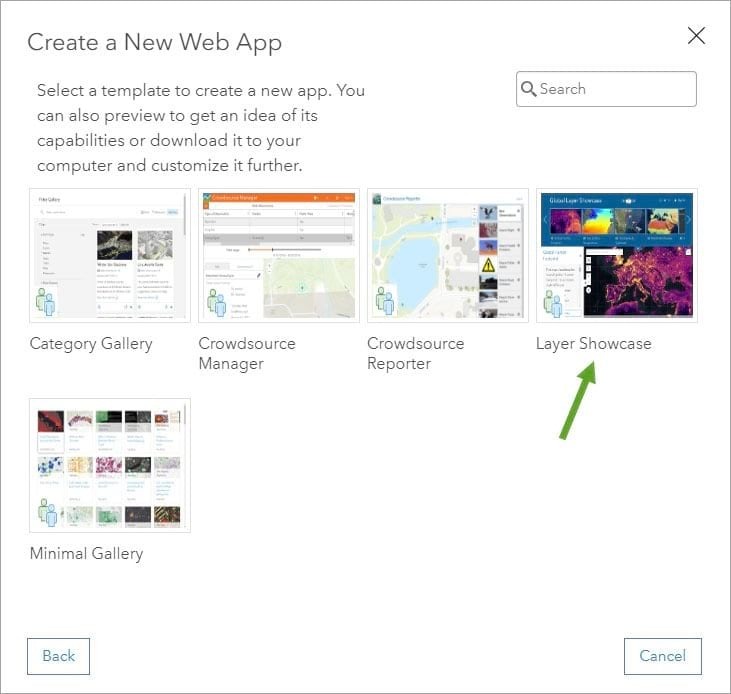 Layer Showcase is a group-based, configurable app that you can create in ArcGIS Online, giving you the ability to display a gallery of layers found within a group. You can display the layers in a ribbon and add them to a map or globe. 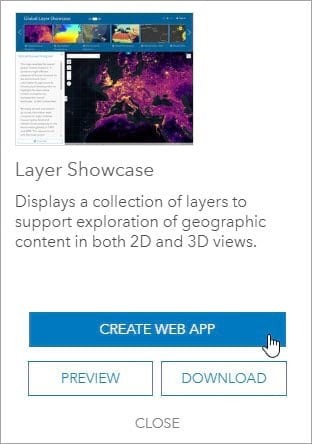 This app is handy because you can share it with colleagues within your organization, giving them the ability to explore layer-based content and, if they wish, quickly create a map or scene based on the layers that have been added to the view. Follow these steps to make and share your own Layer Showcase. Step 1. 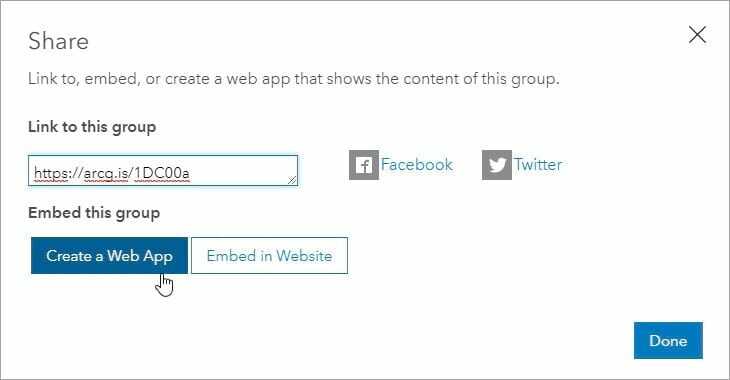 Create a group and add the layers you want to the group. Make sure that you include a complete description and a good thumbnail. The Earth Layers sample group is used in the steps below. View the group description and review the contents and their descriptions to understand how they affect the app. Step 2. Review group and content sharing settings. Click the group Settings tab. Review the list under Who can view this group? If you want the public to have access, check Everyone (public). 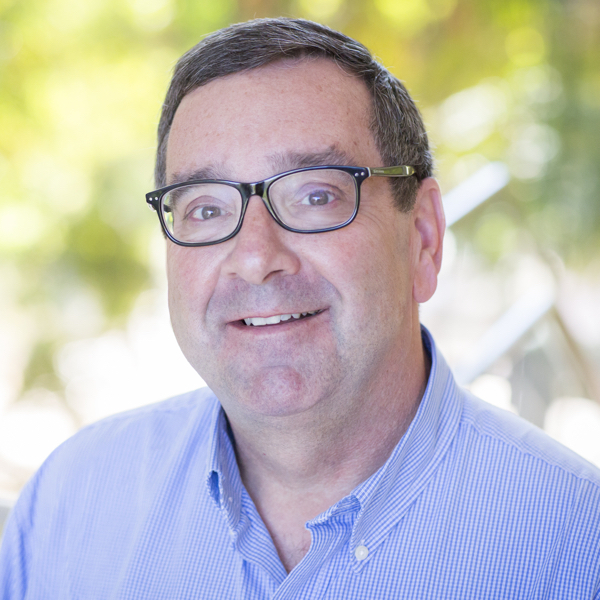 Alternatively, you can limit access to people who work in your organization or to group members. Step 4. 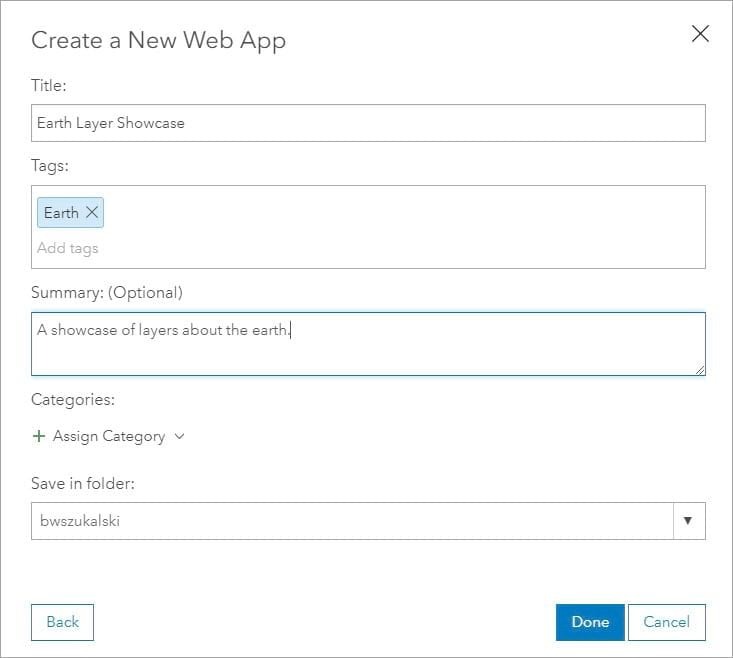 In the Share dialog box, click Create a Web App. Step 5. Choose the Layer Showcase app. Step 6. Click CREATE WEB APP. Step 7. Enter a title and any tags, add a summary if you choose, then click Done. This opens the configuration panels for the app. Step 8. Configure the app as desired. Click the General, Theme, and Options tabs to make changes. Click Save to apply your changes; they will be seen in the preview on the configuration panel. When finished, click Close. Creating a Layer Showcase is a good idea when you want to provide users with a collection of layers they can use to add to a 2D or 3D map and, if they wish, save the map. Sharing content in a Lawyer Showcase offers an alternative to using Map Viewer or Scene Viewer to author a map or scene. It’s also a great way to encourage members of your organization who aren’t GIS professionals to author maps and scenes from preselected content. 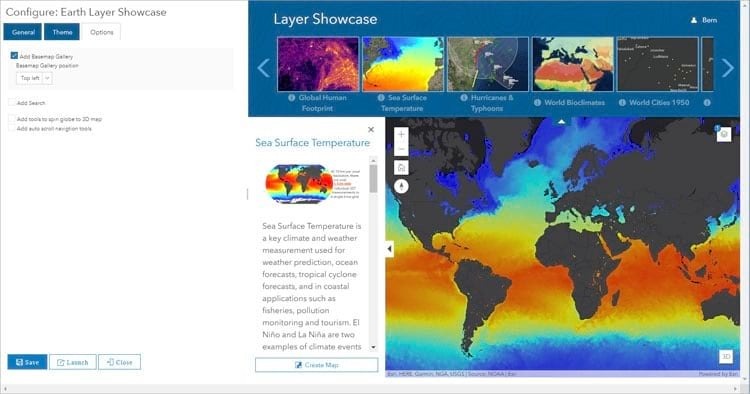 For more information, watch the video of Earth Systems Monitor, a precursor to this application that was demonstrated at the 2018 Esri User Conference. You also can refer to the Layer Showcase item pages.